Prisoners are disabled before, during, and after imprisonment; they are disabled by drugs, by lack of education, by reading problems such as dyslexia, by being born into below-level economic situations, or by being subjected to various other personality disturbances. The UN estimates there are 500 million persons around the world affected with disabilities. There is a UN Bill of Rights for the Disabled that can also apply to the prisoner, the slum dweller, and the refugee. The majority of persons with disabilities live in less developed countries where the risk of impairment is greater for those without medical resources or safety nets. In the United States alone there are over two million people incarcerated in prisons and jails, and more under the control of judicial authorities. Just visualize these people for a moment. It is hard to think about two million people all at once. Ninety-nine percent of them are impoverished. Rich people who can afford good lawyers usually escape undergoing imprisonment. 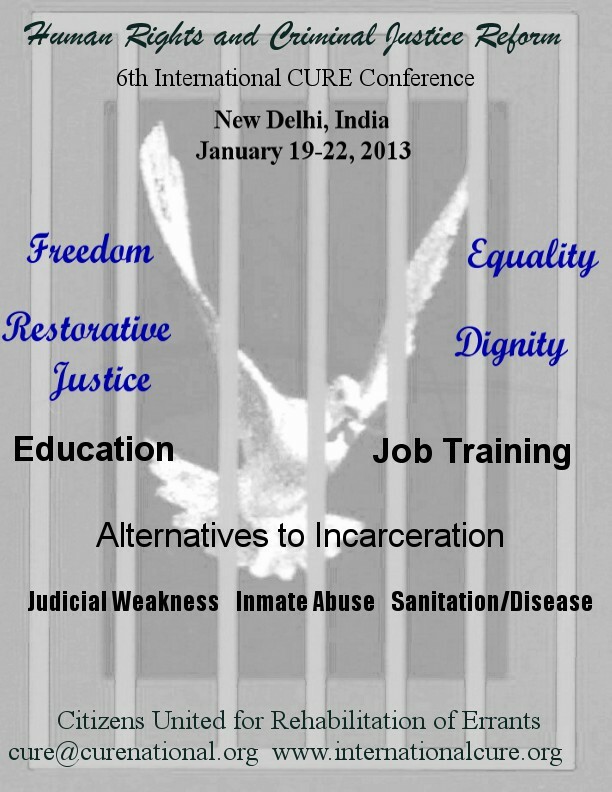 These impoverished people in the prisons of the world are human beings. They have human rights. The majority of these human beings are citizens and are protected by The Constitution of the United States. How do we justify denial of human rights and values to these poor, while allowing the rich to slip through United States’ Constitutional Rights and United Nations’ Human Rights? Where have we gone wrong in interpreting our ethical values? What is true about the United States’ prisons is also true about the prisons of the other nations of the world. Many nations regularly detain some of their citizens as political prisoners. Other judicial systems confine people suspected of a crime or condemned by a third party. Many of those suspected of wrong doing never get a hearing, but stay in prison until they die. Most of our religious systems emphasize forgiveness of misdeeds and errors. As one rose does not make a summer, neither does one gigantic error make a person into a monster. All of us make mistakes. We would like to believe that there is a possibility of forgiveness for our past irresponsible actions and room for degrees of healing. These condemned persons have a genetic makeup similar to ours. All offenders are members of our created human order, the world community, and assisted by their input, we should plan for their release from prison and a positive relationship with society. We should seriously consider their human rights to decent wages, voting, education, health care, and their right to life (as opposed to the permanent poverty or the death penalty). What are the root causes for the poor being punished with imprisonment? If the poor were given good education, if they were somehow trained and established in reasonable employment, they would be less tempted to use drugs and defend themselves with weapons. Once a person has been discarded into the prison system, he or she finds it difficult to return to normal society. International CURE is pressing for a Social Protection Floor for the poor of all nations. CURE suggests that Education is better than Incarceration, that a Social Protection Floor is more effective than having worries about starvation and homelessness, and that forgiveness and sympathy work better than isolation and torture. With a Social Protection Floor and positive education those who are incarcerated and poor will be enabled to find their way to a more normal life.